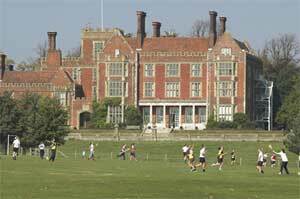 One of Britain’s leading independent boarding schools for girls in Kent awards a third major refurbishment project to Ruggles & Jeffery Ltd.
“Wow! Hemsted is looking fantastic and I know you and your teams have worked so hard to enable it to come together so effectively. I realise there are “odd bits and pieces” still to be finalised, but I am so grateful for the help and guidance you gave us prior to the refurbishment and the final outcome is just wonderful. I know the girls and parents will be thrilled. A very big thank you and best wishes for a successful start to the term. Looking forward to being able to say a personal “thank you”!